After the somewhat disappointing Total War: Rome II, Creative Assembly is refocusing on the core fans with Attila. Here's how they're doing it. Creative Assembly won't come right out and say it, but it's fair to say that they want to win back their fanbase with Total War: Attila—the new entry in the long-running strategy series announced earlier today. 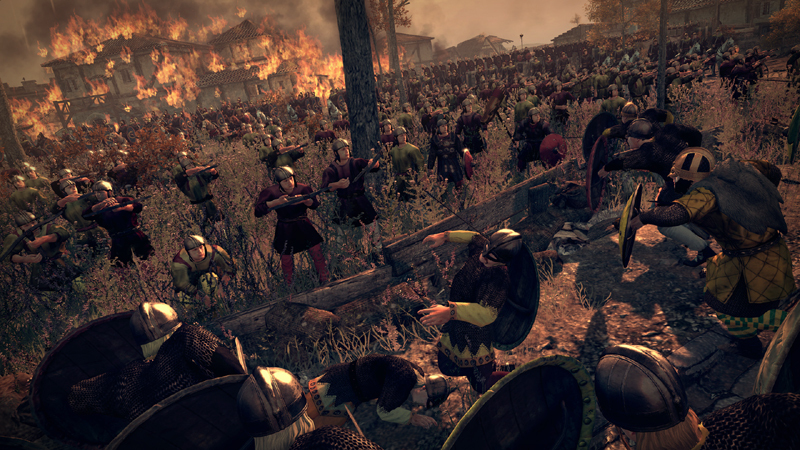 Though reviews of Total War: Rome II were generally favorable, the game billed as being the next step for the series was hammered by fans for both a perceived lack of depth and technical bugs. 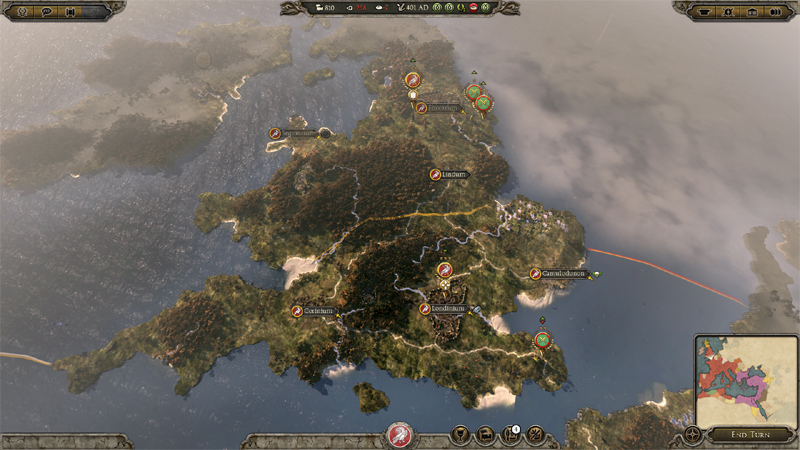 They complained voraciously about everything from the pace of the battles to the removal of family trees, prompting Creative Assembly to respond with an updated "Emperor's Edition" designed to address many of their complaints, which is being released free to everyone who had purchased an original copy of the game. Winter is coming: Climate change is a key element of Total War: Attila. With Total War: Attila, the push is clearly on to take the next step and reclaim the franchise's status as one of the PC's premier strategy games. Set some 400 years after Total War: Rome II, Attila is set at the advent of the Dark Ages, around the period when the Roman Empire was divided between east and west and death and disease were sweeping across Europe. It's meant to have a much more apocalyptic edge to it than the classical Total War: Rome II, setting up what Creative Assembly describes as a cataclysmic battle for the soul of the continent. At the heart of it all is Attila the Hun, who is less a historical figure and more a dark messiah—a force of nature that isn't always felt but is definitely seen. According to designer Janos Gaspar, the rise of Attila will bring with it first rumors of the rise of the Huns, then the flight of migrant populations to your borders, and finally conquest. It's still a sandbox, so events aren't necessarily set in stone, but Attila will definitely be out there. Ultimately, says Gaspar, players will come face-to-face with one of the greatest military commanders of the age: "The cataclysm is up to the player. You either need to seek them out, or more likely be sought out." In pushing the timeline ahead with a new standard release, Creative Assemly seems to want to hold onto the cachet afforded by Rome—one of the franchise's most popular settings—while simultaneously playing around a bit with the formula. Gaspar mostly shrugs off the feedback that Total War: Rome II received, "We got some feedback that the gameplay elements was too easy, but generally our core players like a challenge, so that was kind of expected." But on the other hand: "It's fair to say it's aimed to satisfying core fans." With that, fans who bitterly criticized the removal of family trees will be happy to know that they're back, as is religion—one of the driving forces of Total War: Attila's strategy. Each civilization will feel the constant pressure of religion, and they must decide whether to fight it, accept it, or even flatout convert. Each religion, from Christianity to classical paganism, will bring them their own benefits, including the ability to issue unique edicts. War is hell: Fire will destroy cities and terrify defenders in Attila. More interesting is the impact of what Gaspar terms the "darker side of war." Disease is a major factor in Total War: Attila, and if left untreated, it can spread from cities to trade routes, eventually crippling whole armies. It's also a good deal colder. As the campaign progresses, the snow level will steadily creep down from Northern Europe, with winter potentially lasting up to three turns. Such conditions have the potential to bring the whole continent to a standstill, since armies cannot risk moving without suffering severe damage. The point is to put as much pressure as possible on players, forcing them to constantly adapt and survive to the worsening conditions in Europe, all with the Huns bearing down on them. The ultimately challenge is to play as the Western Roman Empire, one of the three factions revealed so far along with the Eastern Roman Empire and the Saxons, which in real-life was eventually defeated and destroyed. If players want to maintain the Western Roman Empire's integrity or even its existence, it will be very hard," says Gaspar. "Initially, you'll need to abandon territories and concentrate in smaller territory, and later reclaim what you've lost." One potential approach, he says, is to raze cities along the border—a new feature in Attila. Doing so will create a barrier of sorts that will make it harder for foes to make incursions, buying players time to prepare. Attila brings with it a variety of technical improvements, including historically accurate maps with trails. The Eastern Roman Empire is economically stable, meanwhile, making it somewhat easier to control than the Western Roman Empire. But its huge border makes it hard to defend, and it has many enemies. The best approach, Gaspar says, is to use the Eastern Roman Empire's resources to buy allies and create a buffer against potential enemies. The upshot of all this is a darker, more in-depth strategy game that brings with it significant advances to the engine. The camera zoom is much greater than before, the textures have been upgraded along with the framerate, and there's now a building browser that makes it easier to see what you need to build through your empire. Of them all, the most significant upgrade may be found in the damage that can be wrought by fire, which can destroy a city and cause defenders to turn and flee. It's there to create a sense of persistence between battles, Gaspar says, heightening the emotional impact of a devastating war, "Even if you survive the war, you'll come back to find your settlement in ruins, public order will be in ruins... the consequences will be truly felt." Such upgrades are intriguing, even if in some ways Total War: Attila feels more like Total War: Rome 2.5 more than anything else. Creative Assembly's goal seems to be to leverage existing assets while playing around with the formula a bit, and Attila definitely has potential in that regard. Disease, fire, climate change, and religion all add needed depth to the strategy, and the upgrades to the existing engine are certainly welcome. It's not really fair to say that Creative Assembly has to win back its fans, since the series has an extremely strong core fanbase, but it does seem that they were a bit disillusioned with Rome II. With these changes, Attila stands a fair chance of reenergizing the base that has made Total War one of the better-known names in PC strategy. In this case, the dawn of the Dark Ages are bad news for Europe, but they are a positive development for a series that needs it right now. Tagged with Creative Assembly,	Previews,	Sega,	Strategy,	USgamer.